Andrei Svechnikov drafted 2nd overall by Carolina Hurricanes. 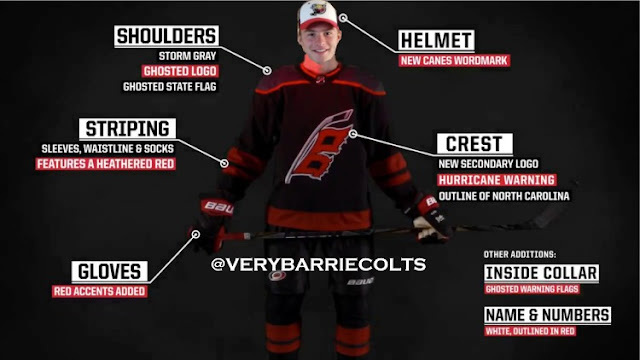 #NHLdraft - Very Barrie Colts | A website covering the Barrie Colts of the OHL. The Carolina Hurricanes have used their 2nd overall draft pick to select Barrie Colts forward, Andrei Svechnikov. No real surprise here since Carolina has been pretty transparent on social media about picking the Russian winger. Svechnikov will add much needed skill to the Carolina Hurricanes who finished 21st in the NHL standings. Svechnikov completed his OHL rookie season with the Colts totaling 40 goals and added 32 assists in just 44 regular season games which earned him the rookie of the year honours. Date of birth: March, 26 2000. Place of birth: Barnaul, Russia.